The present is the moment of most importance in our lives, said Bishop Willie Walsh in his Lenten message to the Killaloe diocese. Urging his flock to reflect on the blessings of each new day, health, friendship and love, marriage and family and Christian values, Bishop Walsh said the present moment is God’s gift to people. While he sympathised with people who had lost jobs, or savings, at the heart of any recovery programme, had to be the common good. Going the extra mile would test the generosity of people, but as Christians, people needed to move away from blame, forward “in a spirit of mutual support and co-operation”. 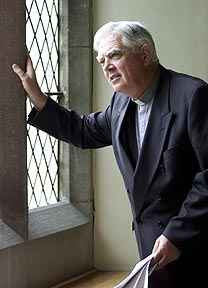 There Bishop Walsh saw the poverty of deprivation, “of living in extremely deprived housing (a shack) with no running water or sewerage system and very limited facilities or comforts of the kind we take for granted in our society". “I am not making light of our current recession when I say that what we have in these times of cutback will always be richness when compared with the poverty of South America,” he writes. By contrast, writes the bishop, we have spent lifetimes “tied to schedules and timetables. We are engrossed in planning and laying down future schemes. We foresee difficulties and try to shore up against them”. He urged people to appreciate the gift of “today”.